Entering the second year of REPESEA cooperation project, MD FEB UGM Program, represented by Dr. Nurul Indarti, Siviløkonom, Cand. 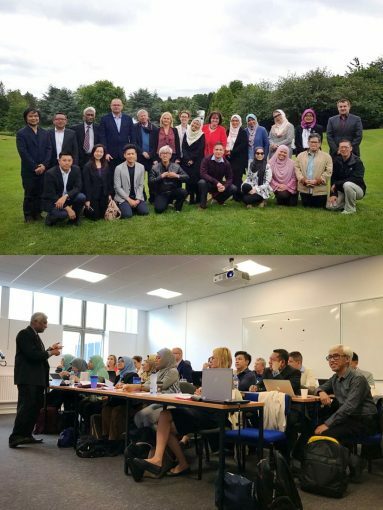 Merc., and Prof. Catur Sugiyanto, M.A., Ph.D., attended a workshop at the University of Bath, United Kingdom, as a member of the consortium. This workshop themed: the Development of the System of the Assessment of Research Impact, and was held by the consortium with the aim of developing a research assessment system. The assessment system will be developed in the form of training modules that will be used by consortium members to improve the quality of research in each university. In addition, the modules are also expected to serve as guidelines for other universities in each member’s home country as an effort to increase the capacity to produce high-quality research. The workshop that conducted from June 17 to 24, 2018 was filled with discussions on the preparation of training modules and initiation of cooperation among consortium members that consist of 11 universities from seven countries in Asia and Europe, including UGM. Other universities incorporated as members include: Universitas Islam Indonesia (UII- Indonesia); Universiti Teknologi Malaysia and Universiti Teknologi Mara (Malaysia); The National Institute of Development Administration and Burapha University (Thailand); Matej Bel University and University of Economics in Bratislava (Slovakia); Warszaw School of Economics (Poland); University of Bath (UK), and Université Blaise Pascal, Clermont-Ferrand II (France). ERASMUS + REPESEA Module 3 Transferable Skills Training for Researcher with the Theme “Research Projects” was held at UGM.